We all have external forces on our body (some positive and some negative). Though the body is often good at adapting to these situations, sometimes we throw in too many external forces that our body can’t handle. Pain, discomfort and associated visceral dysfunction can result. Chiropractic care can relieve the interference that the body has in a specific area so the brain and the rest of the body can communicate. From back and neck pain to headaches and heartburn, chiropractic can help with a broad range of health conditions. Our practice is geared toward correcting the problem and getting people out of pain and dysfunction. It’s gratifying to see someone who hobbles into our practice return upright and smiling at their next visit. 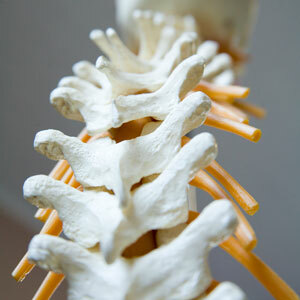 The Gonstead Technique (named after its originator, Dr. Clarence Gonstead) is widely acknowledged as one of the safest systems of evaluating and caring for the spine. Dr. Gonstead had a background in engineering, and realized that a misalignment in one area of the spine can result in overcompensation in another. At Health Solutions we rely on this thorough examination and precise analysis of your spine to reveal misalignments, and then provide gentle, effective adjustments to bring about the necessary corrections, restoring full spinal integrity. Discover for yourself how our array of services can help you and your family live better. Contact Health Solutions in Morton today to book a same-day appointment!